Born on September 10, 1884, in the village of Shoksha in Kostroma province (now part of the city of Galich). Studied at the technical School (Kostroma), where he began painting. In 1909-1912 studied at the Art School of the Academy of Arts. After graduation returned to Galich and worked independently. Since 1919 worked as a school art teacher. 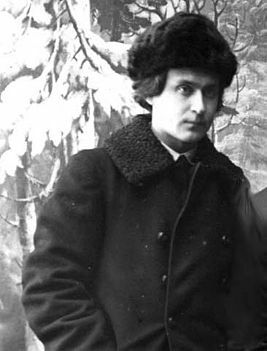 In 1926 he participated in an art exhibition at the Moscow State Museum of Fine Arts. The works “Fishermen”, “Harvest”, “Holiday in the village” were noted in the central press. Participated in an exhibition in 1926 in Leningrad at the Academy of Arts. 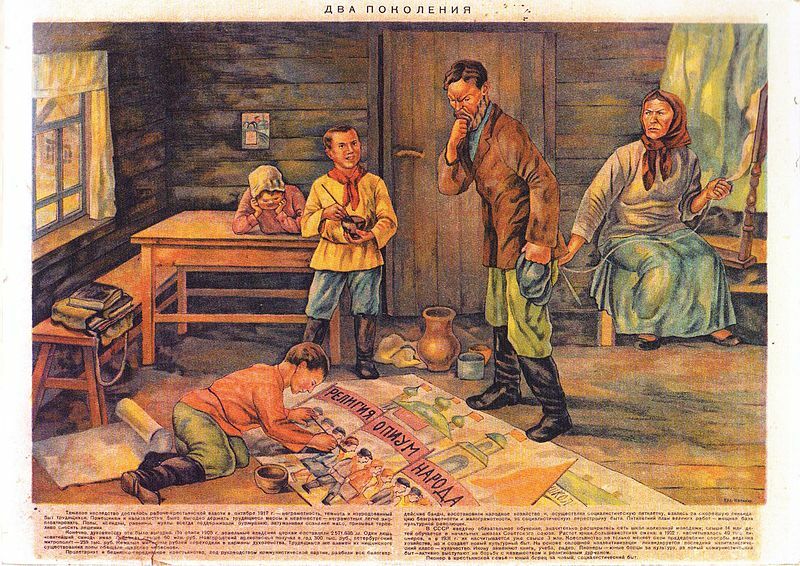 In 1920-1930-s he drew cartoons for the magazines “Crocodile”, “Chudak”, “Lapot” and others. In 1926 won the first prize for the series “Provincia” in the drawing competition by ‘Crocodile Magazine’. This series of works was published in the journal with the satirical inscriptions of the poet Lebedev-Kumach. Ivan Kalikin painted a number of landscapes of Galich. His paintings “The First Snow” (1906), “Twilight” (1906), “Collecting the Militia for the Struggle against the Poles in 1609”, “Halych Settling by the Mongol Tatars in 1238” are now kept in the Galich Museum of Local History. He is also the author of the paintings “Holiday in the Village” (1924), “Fishermen” (1924), “Murder of the Selkor” (1926), “Lecture in the Farmer’s House”, “Poisonous Mildew” (1930s) and others. He is also the author of the paintings “Holiday in the Village” (1924), “Fishermen” (1924), “Murder of the Selkor” (1926), “Lecture in the Farmer’s House”, “Poisonous Mildew” (1930s) and others. During his last years worked as a teacher of fine arts in a pedagogical school. Died in Galich on November 2, 1941.